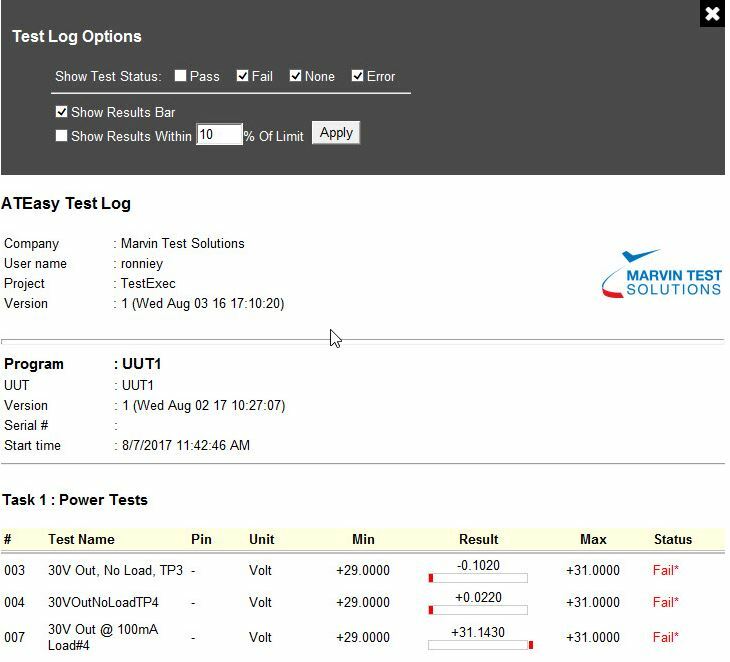 Test Executive And Development Studio - ATEasy | Marvin Test Solutions, Inc.
ATEasy is a test executive and a rapid application development framework for functional test, ATE, data acquisition, process control, and instrumentation systems. ATEasy provides all the necessary tools to develop, deploy and maintain software components - including instrument drivers, test programs, and user interfaces, as well as a complete and customizable test executive. It is designed to support and simplify ATE system applications with long product life cycles. With ATEasy, test applications are faster to generate and easier to maintain. ATEasy’s open architecture provides easy to use access to many industry standard hardware and software interfaces including GPIB, VXI, PCI/PXI, USB, LXI/TCP-IP, Serial Communication, DLLs, ActiveX, .NET assemblies, HTML, VXI Plug&Play Function Panel drivers, IVI drivers, LabView VIs, C Header files and more. 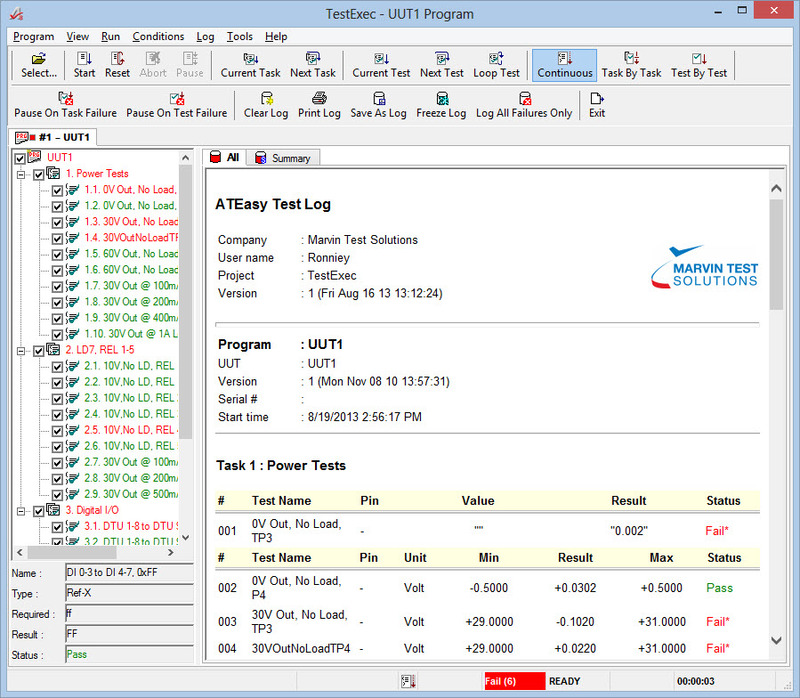 For OEM suppliers of test systems, ATEasy-Lite offers a cost-effective, full-featured, test executive and test development software suite that can be bundled with the supplier's ATE systems. ATEasy- Lite includes ATEasy’s test executive driver but only supports two non-OEM drivers. 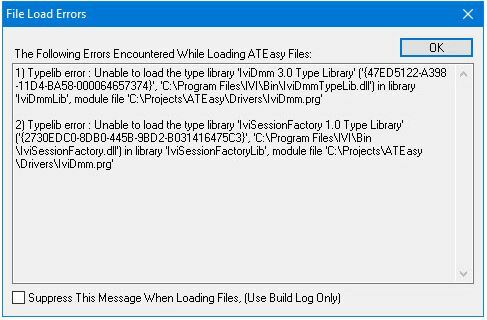 Additionally, ATEasy-Lite does not offer “.exe” file generation capability. Licensing is software based, with the OEM’s hardware providing the license key. Note that the OEM hardware must always be connected for use with this version of ATEasy. ATEasy-Lite can be upgraded to ATEasy with the purchase of an upgrade option. To learn more about ATEasy click on the other ATEasy tabs/pages in this section or check out the Tutorials/Videos page. 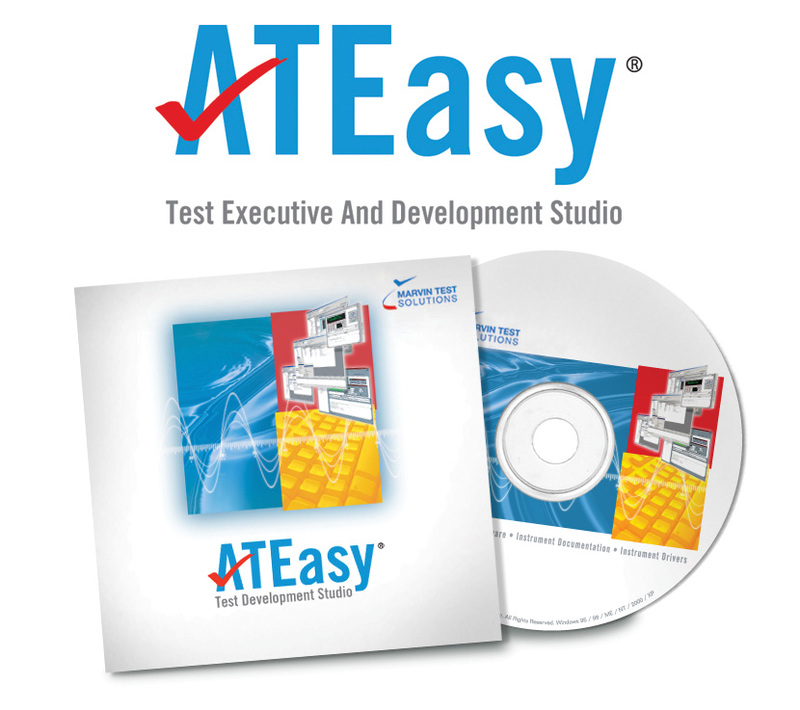 ATEasy includes a complete test development suite and a test executive specifically designed for test applications. 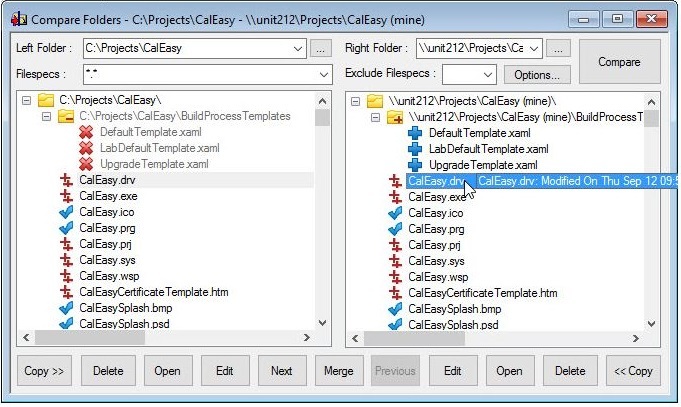 The ATEasy development environment combines the ease of Microsoft Visual Basic and the flexibility of Microsoft's Visual C++, object-oriented, Windows programming environment. ATEasy provides a streamlined, easy-to-follow framework that directs the user to create re-usable components modeled after real-world test systems. Components include a System, Drivers, Programs, Tests, Commands and more. The ATEasy framework provides users with the ability to create re-usable software components such as instrument drivers, system components and test programs. These components can be reused from system to system reducing the overall cost of creating and maintaining an application. ATEasy provides a royalty free Test Executive. User group customization and assignments of privileges is easily done with little or no programming. All the tools to execute, create datalogs, and debug your tests are included. Additional modules are included that provide test sequencing and fault analysis. ATEasy provides a familiar graphical user interface that allows Microsoft Visual Basic™ or Visual C++™ users to feel right at home. First time users can use the Application Wizard to generate applications quickly. The ATEasy application framework and modular structure offer placeholders for your code reducing the learning curve. ATEasy offers reduced program development cycles for coding, executing and debugging of your code. During debugging, ATEasy's Just-In-Time compiler compiles only the necessary code as required, supporting fast development cycles. ATEasy allows you to write several lines of code, highlight them and then click on the DoIt! button - allowing the execution of only the highlighted code without running the complete application. Applications can be created via menu commands or by typing. Commands can be combined with ATEasy language statements such as if, repeat, etc. When typing, ATEasy's code completion tools provide suggestions for completing the unfinished statements, and an integrated code verification utility, CheckIt! provides immediate code verification for syntax errors. Application wizards help you create a framework for your test application and ATEasy's modular structure allows engineers to partition, organize, locate and re-use the test code. A built-in code browser offers immediate access to symbols such as functions or variable definitions. The ATEasy internal library includes many classes and functions providing support for your software components such as drivers, tests, forms and controls, and for basic operations such as math, string manipulation, communication, etc. ATEasy provides full support for the Windows multi threading model, which allows users to execute multiple code segments simultaneously. Synchronizing objects such as semaphores and events allows users to synchronize thread execution to protect your application resources from re-entrance. ATEasy’s robust multi threading model lets users use any user-interface objects and ActiveX controls from any thread without any special programming, unlike other conventional programming environments. Thanks to ATEasy’s exclusive Instrument Interchangeability Technology (I2T), test engineers can easily define plain language driver commands for instruments types such as a DMM, ARB, etc. The commands can be implemented differently for different instruments of the same type. Commands can be linked to DLLs, ATEasy procedures, etc. For test programs, these commands are independent of the implementation, and interface type (GPIB, VXI, etc). Consequently, when instruments need to be replaced, a new instrument driver may be used while the test programs remain unchanged. The ATEasy debugger provides the features found in conventional software development tools such as; Step In, Step Out, Step Over, Breakpoints, Run to Cursor, Set the Next Statement to run, and more. You can create and watch variables and expression values, execute code in a debug window, view a call stack , and view a running thread. In addition, ATEasy includes test level debugging tools allowing you to select and run tests, loop on tests, skip tests, pause on a failed test, and repeat a test. ATEasy supports many hardware and software standards including: GPIB, Serial communication, VXI, USB, PCI/ISA, LXI (TCP/IP), DLL, COM/ActiveX controls, .NET assemblies, LabView VI/LLB files, VXI Plug&Play Function Panel drivers, IVI drivers, the importing of C header files, Microsoft SourceSafe and more. By supporting a wide range of standards, you can extend and enhance ATEasy's built-in functionality with spreadsheets, databases, word processors, web browsers and more..
ATEasy is provided with a royalty-free test executive that can be deployed on any number of test systems. Once the test executive is inserted to your project, your application has a complete test executive user interface that allows selecting and running a test program, debugging, viewing and printing test logs. Typically ATEasy tests are written with the ATEasy language however you can extend ATEasy's functionality and execute any external code or library including .NET assemblies, DLLs, LabWindows/CVi or function panels functions, LabView VIs and more. Plug-in modules can also be added to the test executive for added functionality. ATEasy's test executive architecture is easy to customize. Using the Customize window the user can change the test executive layout, menus, toolbars, touch panel interface, options and more. Programming commands can further extend this capability. Multiple users and user groups enhance customization and provide a way for the administrator to limit the test executive's features for certain users across the network. A plug-in Profile module can be used by the test executive allowing the user to create, save and run test seqences. 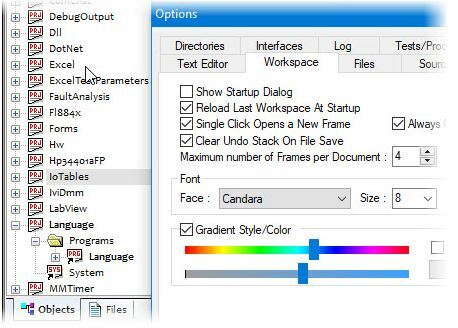 A Profile editor is provided to create the test sequence and set the actions between tests and tasks (group of tests) as required based on the test results. A plug-in Fault Analysis module can be inserted into your project providing a powerful troubleshooting tool to debug and fix the UUT. The Fault Analysis module analyzes your test results and recommends to the opeartor how to fix the UUT based on test conditions set met by the test results. A Conditions editor is provided to create the test result patterens and required repair action(s). ATEasy's development environment is modeled after typical ATE applications. The development environment includes modules in a hierarchical and layered structure as shown in the tree view. 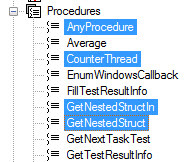 Engineers can use the pre-defined structure as a template to partition and develop a test program. During debugging, integration, or maintenance, this modular structure simplifies the process by isolating problems. First time users can use the Application Wizard to generate applications quickly. Application framework components are displayed in an easy-to-browse tree view that serves as a basis for the application specific components. System Module: The System Module is Test system specific. The System module contains the hardware configuration of a given test system. It reflects the currently installed instruments. For example: A GPIB instrument driver configuration includes its address, terminator, etc. Driver Module: The Driver Module is Instrument specific;. The Driver module contains the commands and functions that are required to operate an instrument as well as the interfaces it supports (for example, GPIB, RS232, etc). Task/Test Sub-Module: The Program module contains the necessary tests required to test a UUT. A Task sub-module includes a group of Test sub-modules, which test a block cicuitry or logical unit of the Unit Under Test. Each Test sub-module contains code and various properties such as its Name, Type, Pin, Unit, Result, Status and More. Various test types are built in such as Min-Max, where the result must fall within a required Minimum and Maximum value. The test code is responsible of taking measurements and assigning it to a Test Result, an internal ATEasy variable. When the test code is executed, the TestResult will be used to calculate the test status: Pass or Fail and together with the test information the test log will be automatically generated. Commands Sub-Module: ATEasy’s "command sub-modules" are under the Driver, System, and Program modules. ATEasy’s exclusive Test Engineering Language (TEL) is the individual user-defined commands (see figure shown) in the command sub-modules. Calling attached procedures (DLLs or user-defined functions), the TEL commands appear in cascading menus in the ATEasy menu bar. The users can easily insert them into Test sub-modules instead of entering manually. Other Sub-Modules: System, Driver, and Program modules contain additional "sub-modules", serving as containers for objects such as Forms, Commands, Events, Procedures, Variables, Types, and Library. The test code is "partitioned" into the appropriate sub-modules depending on whether it is UUT specific (Program), system specific (System), or instrument specific (Driver). ATEasy’s Form Editor is very similar to Microsoft's Visual Basic form editor - providing a powerfull and feature rich GUI programming environment for constructing interactive instrument control and test program status / control. Like Visual Basic, ATEasy provides similar sets of forms, types, menus, controls, and event programming. In addition, ATEasy’s forms can accommodate hundreds of ActiveX controls and components from third party vendors. ATEasy provides seamless integration with various source and version control providers such as Microsoft's Source Safe, Team Foundation Server, Git, Subversion and more - providing a robust configuration management environment for managing test programs. You can Check In, Check Out, or Add Files directly from ATEasy to your source control repository. You can even compare and merge different versions of any ATEasy file to see what, when, where, and by whom files were modified. ATEasy Executable and DLL can be encrypted providing a way to maintain integrity, preventing modifying (non-repudiation), reverse engineering, or PCode viewing. In addition, the ATEasy run-time provides protection against calls stack parameters mismatch and buffer overrun protection after external DLL call. ATEasy source files when saved to binary format can be also encrypted to protect against changes and verify file integrity. Program, System and Drivers files can be password or license protected to limit access to using, viewing or changing the file. Automatic versions records to the source files time and the user making the changes allowing you to track changes beyond using file date. In addition to the provided ATEasy instruments drivers, ATEasy provides IVI drivers for all the available IVI classes. ATEasy also supports thousands of VXI Plug-and-Play, Function Panel (.fp files) instrument drivers from vendors such as Agilent Technologies and National Instruments. Using the File Open Command, engineers can open a Function Panel file (.fp) and convert it to an ATEasy driver format (.drv). ATEasy generates a command tree, procedures, DLL function calls, constants and data types as defined in the function panel file and its accompanying C/C++ header file. 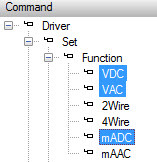 You can also use LabView drivers since ATEasy can call VI (VI or LLB files). 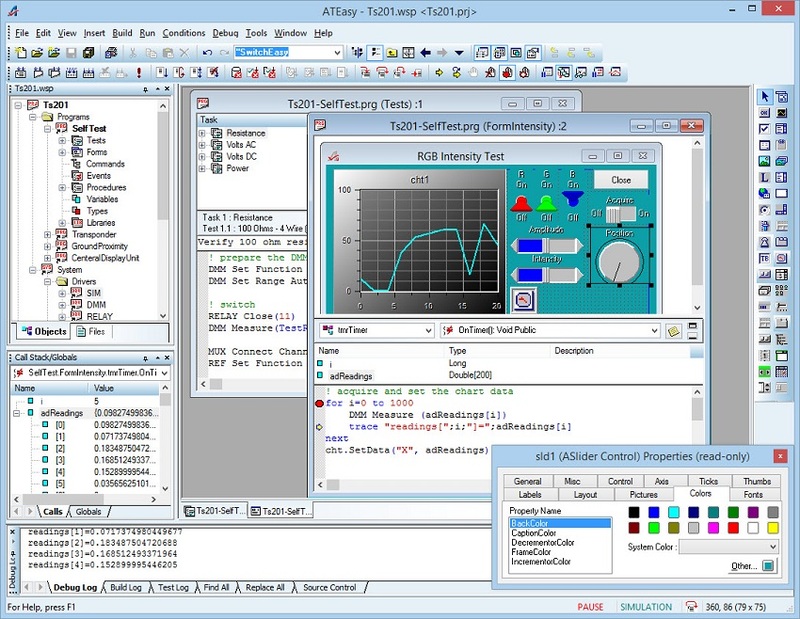 In addition, ATEasy provides various tools to support rapid creation and debugging of instrument drivers. 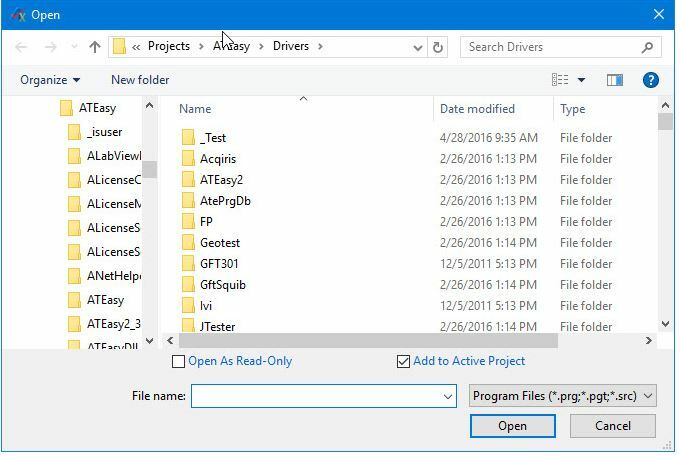 If none of the above driver formats are available, ATEasy allows engineers to rapidly modify an existing driver or develop new ones. With DLL-based drivers, engineers can easily import existing DLL functions (using C header files or manual methods). .NET or ActiveX/COM based drivers can also be imported and used to create a driver almost instantly. With message-based instrument interfaces such as GPIB, Serial (RS-232), VXI, USB and LXI (TCP/IP). 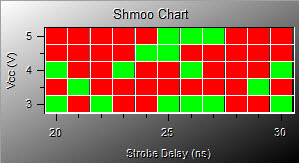 ATEasy uses a simple mechanism called I/O Tables for sending and receiving instrument commands. I/O tables allow ATEasy drivers to be independent of the instrument interface and manufacturer so that one driver can be used with an instrument that supports multiple interfaces (e.g. GPIB and RS232). Thanks to ATEasy’s exclusive Instrument Interchangeability Technology (I2T), test engineers can easily define plain language driver commands. These commands seperate the driver interface used in your test program from the implementation of the driver that uses IO tables, DLLs or any other external library or software component. 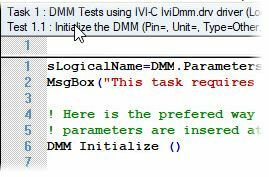 Within the test program, these commands are independent of the instructions, DLL procedures, and interface type. Consequently, when instruments need to be replaced, a new instrument driver may be used while the test program(s) remains unchanged. We always like to hear from you of new ideas and features you would like to see in ATEasy! Please submit your request or feedback using our Web Support Page. Much Faster Run-Time – up to 10x faster in benchmark tests. DebugOutput - new example showing how to use the DebugOutput driver to trace application events, code execution and trace calls to a text file. See the ATEasy ATEasy10ReadMe.txt for a complete list of all changes and new features included in this release. ATEasy X is compatible with 32/64 bit Windows® operating systems including Windows XP (SP3), Vista, Windows 7, 8, 8.1, 10 and Windows Server 2003, 2008 (also R2) and 2012 (also R2) and 2016. No special software or hardware is required beyond Windows requirements. ATEasy X is ~100% backward compatible with prior ATEasy versions; no change in ATEasy file format since v6.0. Forward compatibility is provided for version 6.0-9.0 (unless new features are used). 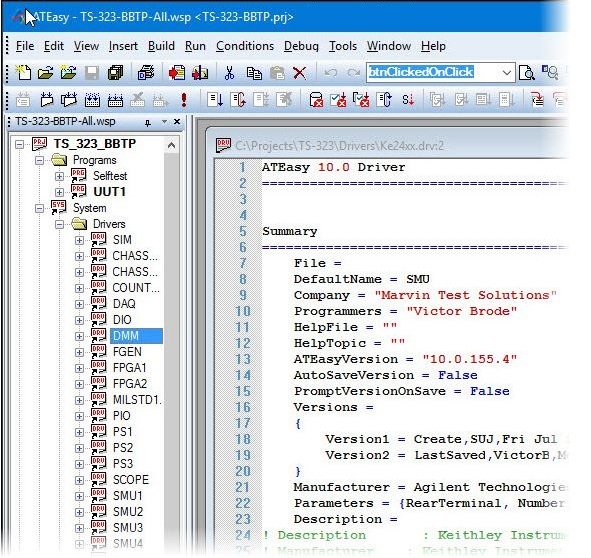 EXE and DLL compiled with older versions of ATEasy can be used with ATEasy X run-time. Hardware and software Simulation is now built into ATEasy. Develop, run, debug and analyze your application on your desktop with no or partial hardware using the new ATEasy 9 simulation. Any existing driver, system or program can be simulated. No source code changes are required for existing modules to support simulation. Side by Side Installation. ATEasy 9 development environment and run-time is installed next to your existing older ATEasy version. You can keep your existing drivers and files and you can use both the development environment and run-time at the same time. Compiled applications will use the matched run-time version or the newest version if not available. Find and Replace dialog boxes support Type, ID and Value when searching and replacing. The dialog boxes contain Find All (new) and Replace All buttons displaying results in new Log Window tabs named Find All and Replace All. The new tabs display links to all text searched and replaced allowing you to revisit the text by clicking on the links. Copy Paste, Replace, Delete, Undo, Redo, and Drag and Drop supports selecting of multiple objects. Unicode support throughout the development environment including the Properties window and text/code editor, commands and form editors, find and replace and more. Unicode text is saved to ATEasy file (binary or text) in UTF-8 to support backward and forward compatibility. Additional Source Control providers are supported including Microsoft Source Safe, Microsoft Team Foundation Server, Subversion, CVS, Git and more. The Source Control page in the ATEasy Options dialog box that lets users define any command line source control provider. Document shortcuts have a source control path to designate individual paths for each shortcut. Predefined Path Variables provide dynamic path use throughout the development environment, including the Tool menu customization, document and library shortcuts and source control. 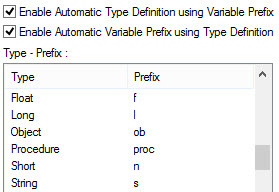 Automatic variable prefix and type, Variable type can be automatically set when typing a variable name with a prefix. Changing a variable type can set the variable prefix as well. 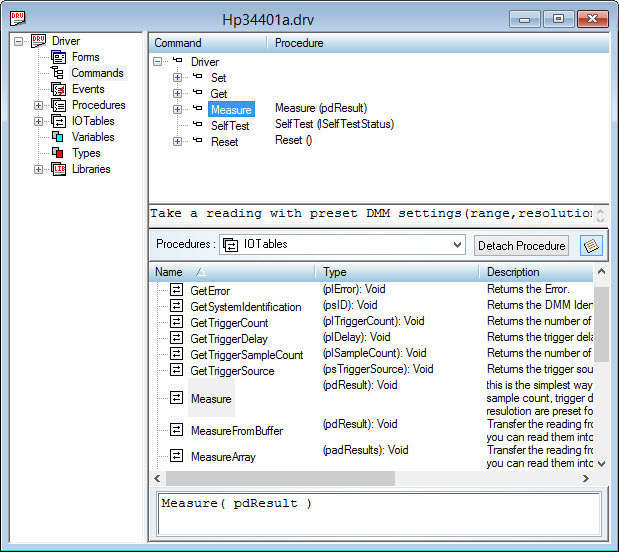 IDE improvements include command to enable or disable all breakpoints, command to close all windows but this, tool tip to show document file path, document tab modification status (*), revised startup dialog includes sortable columns and sizable dialog, new Tools menu to open the PXI/PCI Explorer, enum value auto increment and more. Run-Time improvements includes new properties and functions: AApp.ExitCode, AApp.Simulate, new OnSimulate() module event, GetSimulateParameter(), SetSimulateProcedures(), AUsers.FileName, AUsers.SetDefaultFileName(), revised VarDimSize(), AChart Shmoo plot type and more. See the ATEasy ReadMe.txt for a complete list of all changes and new features included in this release. ATEasy 9 is compatible with 32/64 bit Windows operating systems including Windows XP, Vista, Windows 7, 8, 8.1 and Windows Server 2003, 2008 and 2012. Windows 9x and Windows 2K are no longer supported. No special software or hardware is required beyond Windows requirements. ATEasy 9 is ~100% backward compatible with prior ATEasy versions, no change in ATEasy file format. Forward compatibility is provided for version 4.0-8.0 (unless new features are used). EXE and DLL compiled with older versions of ATEasy can be used with 9.x run-time. Availability: ATEasy 9.0 preview is available for download from this website. Subscribed users can retrieve their upgrade id license code from their M@GIC account via the Licensing tab. New examples for TCL and PERL based tests (StdIoProcess), Multiple UUTs (parallel and sequential testing) and Process Diagnostics (detects handles, memory and thread leaks). New Drivers. For a complete list of new features and changes, see the ATEasy 8 on-line help download. ATEasy version 7.0 contains numerous enhancements to the test development environment, run-time and Test Executive. The following list describes the main changes in this version. ATEasy DLL - ATEasy supports creating a DLL using ATEasy code. A new Library Wizard creates a Library DLL project. Export commands allows generating .vb/.h header files with prototypes of the functions exported by the DLL so they can be called from C or Visual Basic languages. Threads Window - A new debug window for debugging a multi-threaded application is available. You can use the Threads window to view thread information, a call stack and local variables. Batch Build - A new command is available that displays the Batch Build dialog, allowing you to select multiple workspace projects for build. The selected projects are saved to the workspace file. Back/Forward navigation commands - New View menu commands are available that use the history of windows and symbols viewed and allows you to navigate between these symbols. Similar to Internet Explorer, a drop down history lists all symbols viewed in the ATEasy session. New Log file format: Web Archive Single File format (.mht) is available in File Open as well as in ALog's Save and SaveAs methods for Log files. ATML support - New functions are available to export and import ATEasy test results and test descriptions in ATML format (.xml). Support for LabVIEW v8.5, v8.6 (all versions from 7.0 to 8.6 are now supported) as well as enhanced support for .NET. 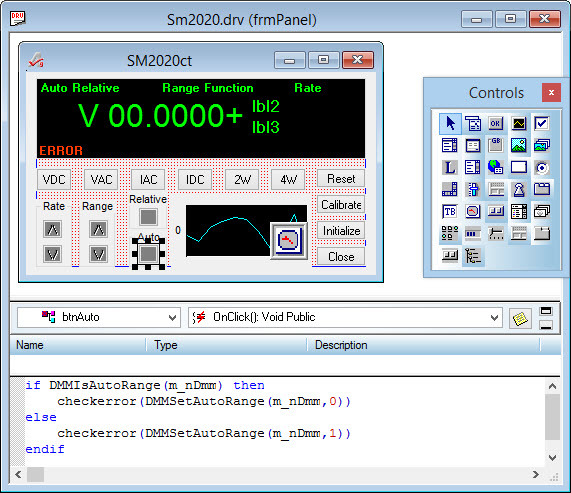 Support for USB driver interface - provides control of USB RAW or TMC devices using IO Tables or the internal library. 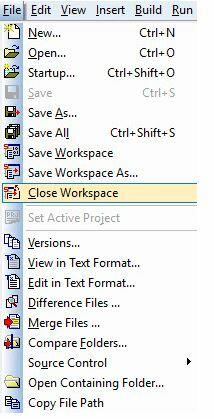 New IDE Workspace Option for default file saving - Binary and Text format saves in both file formats every time the user saves. Allows you to maintain an up to date text format that can be used by external tools such as a text editor or a source control application. New IDE Options: Arguments for External Tools - a set of predefined variables that are available for External Tools arguments. The Customize Tools dialog has been modified to accept new arguments and their values, which are passed when the tools are launched. New IDE Option: Auto Recover - this new option, when set, will cause ATEasy to save your work (modified files) every x minutes to a temporary location. When the workspace is loaded again after a system or any other failure, ATEasy will notify you of the modified files that are available for recovery. 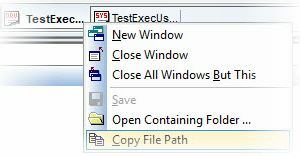 New IDE command : Open Containing Folder - opens a folder in Windows Explorer which contains the selected file. New ATEasy Development Environment automation server (Application) - provides access to some of the IDE functionality. New LoadLibrary/UnloadLibrary statements for dynamic loading and unloading of DLL libraries while running. New USB procedures provides control of USB RAW or USBTMC devices and support for USB driver interface. New String tokenizer functions : Split, Join, Filter, Replace. New Math functions - Min and Max returns the minimum or maximum value of two numbers. 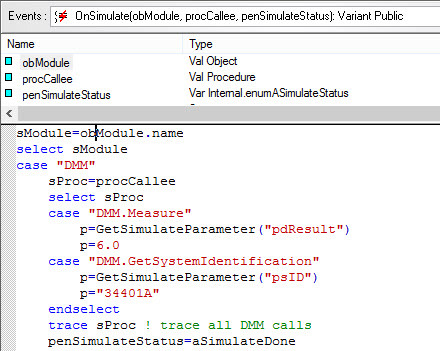 New Misc function - GetCallerName used to retrieve the current or caller procedure name or test id. New Time functions: Now, Date, Time, Year, Month, Day, Weekday, Hour, Minute, Second. New ATask/ATest properties StartTime and EndTime. New AApp.Info property and enumAAppInfo returns information about the application. New Variant constants VarEmpty and VarErrorArgMissing, supports 64 signed and unsigned bit variant integers. Support for converting string to DateTime/Currency data types and vice versa. New optional parameter added to CreateObject() : bFreeThreadingModel. Allows the user to specify the server's threading model to be Free, instead of the Apartment model. External Programs (EXE) Support - Unlike a typical project containing all programs, support for external programs allows you to create executables, each containing one (or more) programs, while still allowing all programs to be executed from the same user interface. The main benefit is support for modular test program development which allows adding programs to the test executive after the initial release of the application. 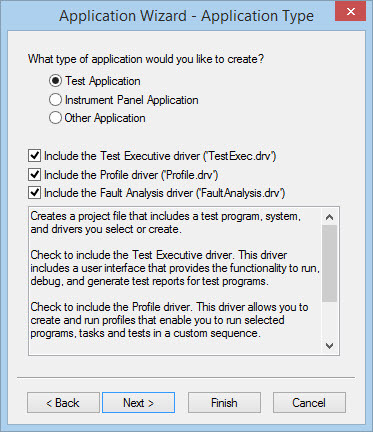 Profile driver - create and modify test sequences or profile programmatically using commands. Support for Web Archive Single File (.mht) - allows the user to save HTML test log containing images into a single file. 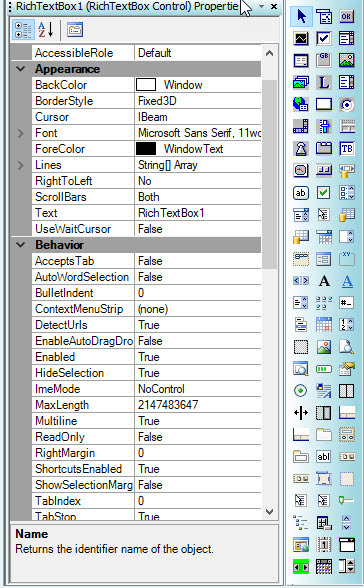 Ability to disable checking or un-checking of tests and tasks in the tree pane. New Option to show or hide the Log Summary tab (enOptionsDisplayLogSummaryTab). New Option to retry a failed Task automatically (enOptionsRetryFailedTask). ATEasyDLL.prj - this example shows how to create an ATEasy DLL and how to use the DLL from ATEasy code or from C or a VB based application. Profile.prj - this example shows how to use profile commands that create a profile programmatically. 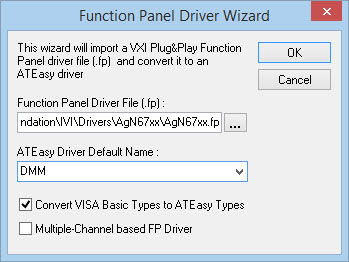 Visa.prj - VISA driver and example - this example shows how to use VISA to control an instrument from ATEasy using the ATEasy Visa.drv driver. ATML.prj - this example shows how to use the new ATEasy ATML driver (ATML.drv) to export and format test description and results. Ki210x.prj - driver/example for USB based driver Keithley 2100 DMM. New Geotest drivers for GX1034, GX2002, GX2472 and GX5290. For a complete list of new features and changes, see the ATEasy 7 on-line help download. General threads on ATEasy programming, installation, etc. Threads regarding drivers for all versions of ATEasy. Users can ask for or upload their drivers. ATEasy X with SP2 (latest version). Includes a 30-day trial license. See ATEasy10ReadMe.txt for change list. This Software Package may contain multiple setup files. Collection of Marketing collateral and related material. ATEasy Intro Kit with a USB ATE Demo Multi-Function Board. Academic use only. ATEasy Intro Kit with a USB ATE Demo Multi-Function Board.